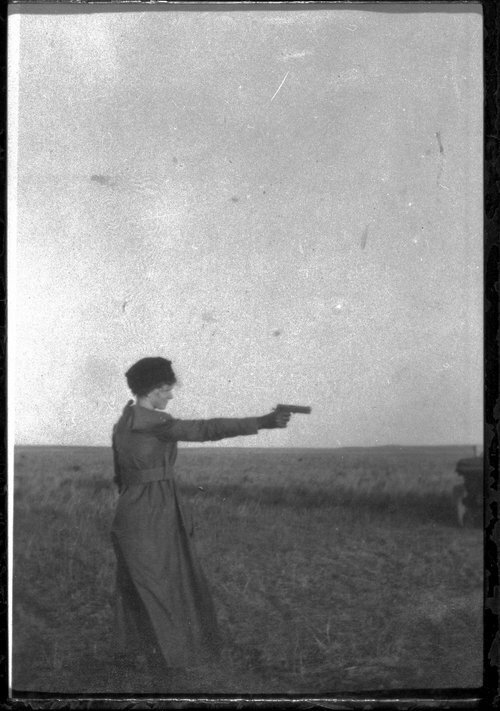 This photograph shows Maude Elliot shooting her handgun at a coyote that was too far away. She was able to hit him on the foot and he jumped high into the air and then fled. In her Maude Elliott explains how she had better luck hitting rattlesnakes. She was able to hit seven of them and the eighth she killed with the heel of her shoe. It was a small snake that had been slithering across the path of her front door.